I have been looking at dog beds for a few weeks, our pet can use an upgrade, an alternative place to sleep that isn’t the sofa or my bed! The ones in the stores are cute, but I hesitate to spend a small fortune on a pet bed that my dear dog may or may not sleep on! 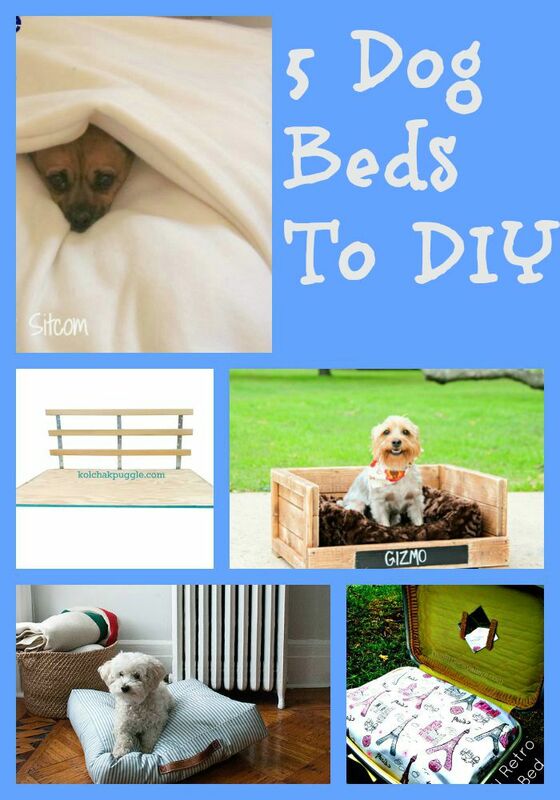 I found 5 fantastic DIY Dog Beds that I know wold look great in my home and I think my dog would love too! This one is super cute for the winter months! It’s an envelope bed! Your pooch will love snuggling up inside, don’t you think? 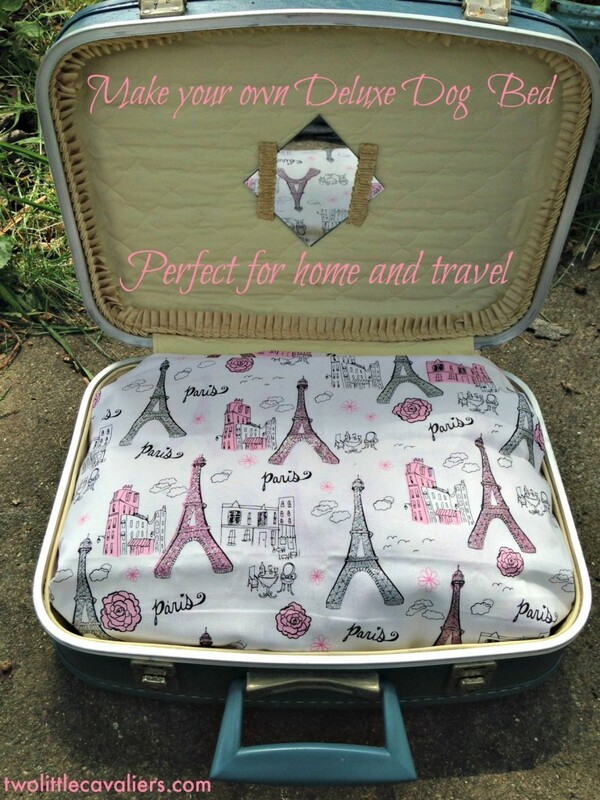 How cute is this travel bed? It not only fits in a suitcase, it IS a suitcase! I absolutely love that fabric too! Of course, you can use whatever fabric you want. 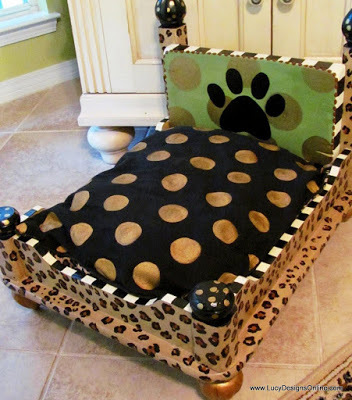 For that totally wild canine with style, this leopard print dog bed is just perfect! 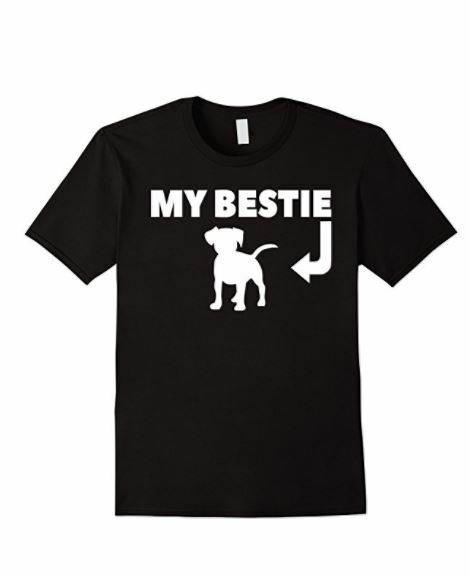 I think this one would be great for my brother’s smaller dogs. I’d need an actual bed to make one for my big pooches! 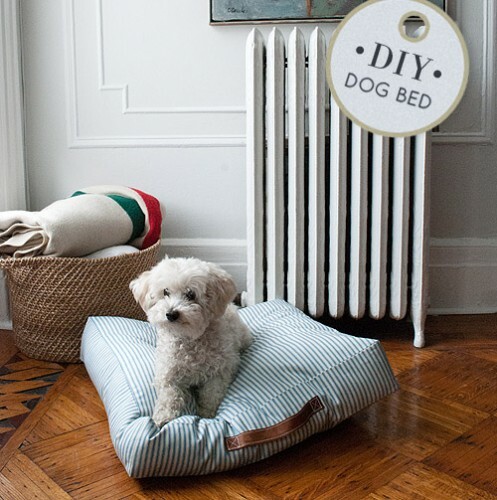 Whatever DIY dog bed you pick, you don’t need to prop it up against a boring wall when you make this super cute DIY wooden frame to go with it! 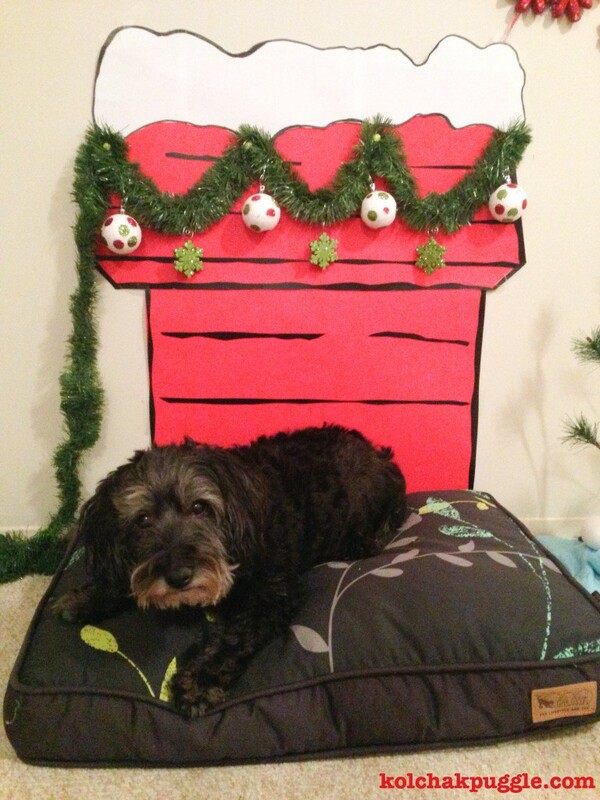 Such a cute way to include your pooch in the holiday decor! This post doesn’t just show you how to make a super cute DIY dog bed, it also offers great tips for sewing in general. I love that, I am still learning! Whatever you choose to make, just remember to check for needles and pins left behind from your sewing! We don’t want poor Fido getting poked, now do we? It’s fun to make your own dog products, and it definitely helps save money! 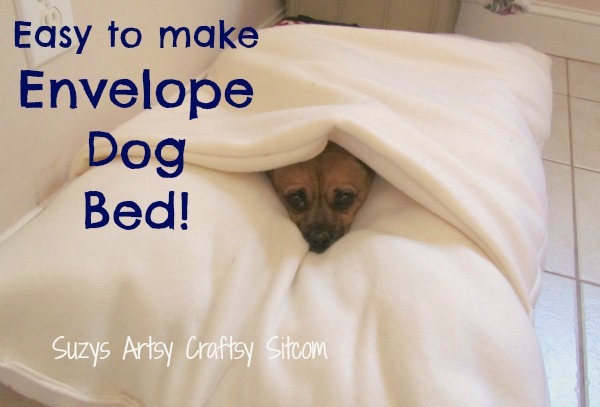 Have you ever made your own pet bed? How did it turn out? Did your pet sleep on it more than your furniture? If you have an idea for a DIY Dog Bed I would love to hear about it in a comment!